Hear me out. I have a suggestion. I’ll get to that at the end of this post. Promise me you’ll consider it objectively. Think of the GOSSIP. Selena Gomez has been in New York for fashion week representing Coach as the brand ambassador. As I’ve mentioned many times before, Coach’s ready-to-wear the last couple of years has been solid. Her partnership with them has happened at an excellent time. Check out this dress. It’s gorgeous, I love it. You know who else has been in New York also for fashion week? Hailey Baldwin. Are we doing this? Should we be doing this? The “red carpet run-in” is a gossip fundamental. We look out for this sh-t all the time. Angelina, Brad, and Jen will all be at the Oscars! Taylor and Katy will both be at the Grammys! 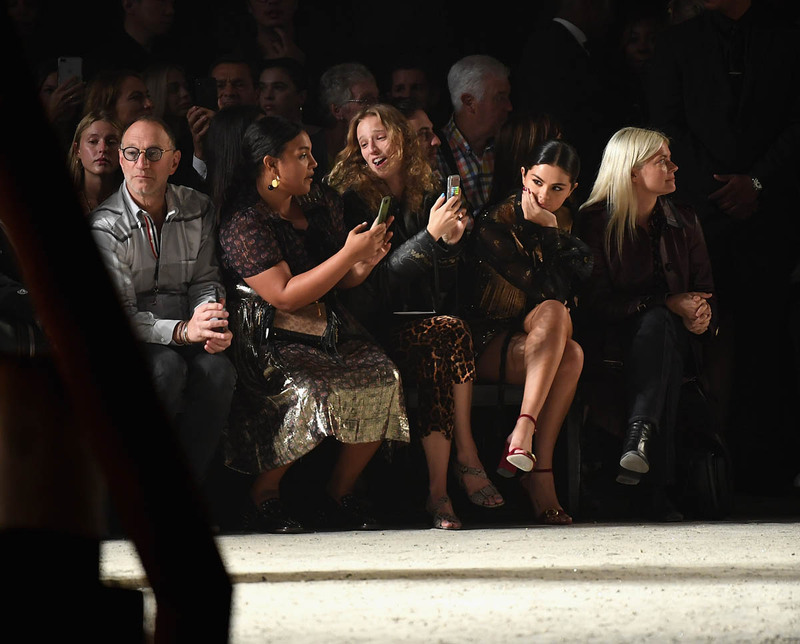 Selena and Hailey are both part of NYFW. They’re moving in those fashion circles. They’ve managed to avoid each other, so far, but that doesn’t mean there may not have been work behind the scenes to ensure that they could avoid each other, so far. This means “she’s so ugly”. It doesn’t seem like he was joking because when someone else said she looked like a Pomeranian, he then replied and wrote back that “hahahah it’s true”. What kind of a f-ckwit wouldn’t want Selena Gomez in their clothes? Does someone need to explain to him how this works? My suggestion. A Hollywood matchmaker suggestion. Don’t hate it before you consider it! And don’t front like you’ve considered without really considering it! Selena Gomez and… Noah Centineo/Peter Kavinsky. It would be so good for gossip, so f-cking good for gossip. In tennis, one of the most effective ways to play is to hit a ball on the rise. Andre Agassi was the specialist at this. Selena is, by today’s celebrity standards, already a superstar. Noah is on the rise. The impact of them getting together would be huge. Are you with me? !